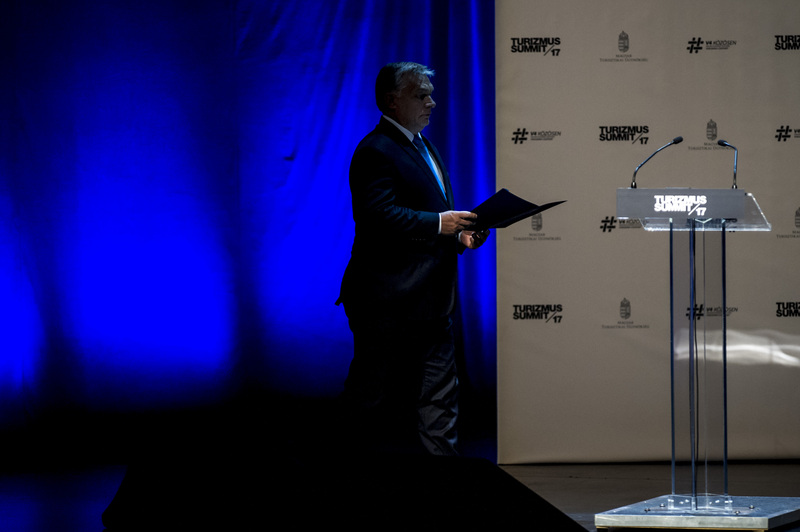 At the first Tourism Summit conference in Budapest, Prime Minister Viktor Orbán said that in the Government’s eyes tourism is not just a source of income or a high-performing sector of the Hungarian economy, but also a form of patriotism, which is a mission. In his words, the attendees at the event all share the belief that Hungary is a beautiful, safe and liveable place, inhabited by hospitable people. It is not enough, however, for the beauty of the own country speaks for itself, he said: this message must also be relayed to others in a way which they understand. Hungarian tourism is unstoppable, Mr. Orbán pointed out: 2016 was a record year, but this year’s data shows that 2017 will surpass even that record. The Prime Minister stated that with the strategy now introduced there is a good chance that Hungary will occupy the place in global tourism which it richly deserves. He argued that the National Tourism Development Strategy 2030 rightly states that tourism relates the story of Hungary, and the development of the sector enriches the country. In his view, Hungary had to wait for two decades after the fall of communism for tourism to be given the respect and recognition that it truly deserves, as back in those days “it was fashionable to speak about our own country in a derogatory, disparaging tone”. Mr. Orbán said that in 2010, however, Hungarians regained faith in themselves; they believe that Hungary is one of the world’s most beautiful places, and that the Hungarian people can be successful in the modern world. He observed that the country is rich in exceptional natural features and spectacle, the Hungarian people are hospitable, and the country’s gastronomy, wine culture and thermal baths are world-famous. Hungary was created by God to enable tourism to be one of its driving sectors, he said. 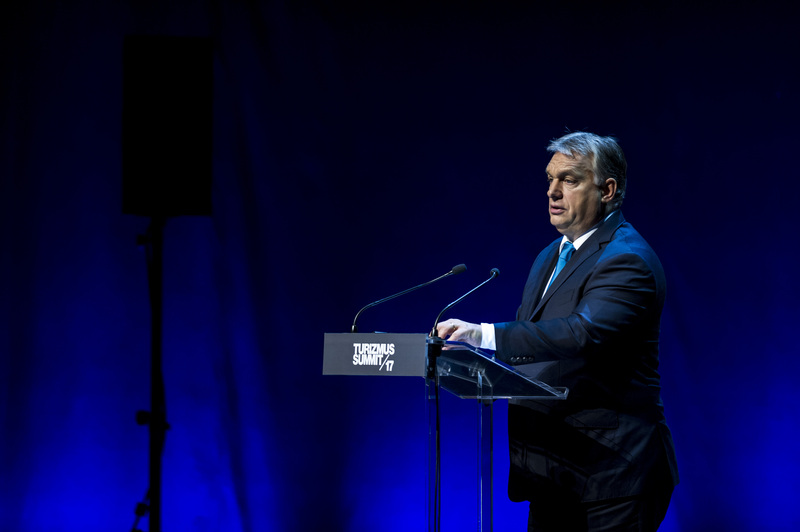 Mr. Orbán said that earlier there had been no comprehensive modern strategy covering the entire country, and therefore one was created in cooperation with the players in the sector. The Hungarian Tourism Agency became the organisation within the Government responsible for the management and coordination of tourism, with the mission to elevate Hungary to the status of one of the most desirable tourism destinations. In 2016 sector-specific legislation designated priority regions, areas to be developed and the necessary funding. He said that in 2010 the central budget directly allocated HUF 7.6 billion for the development of tourism, the allocation this year is HUF 21 billion, and 2018 will be a record year, with more than HUF 53 billion allocated to tourism. At the same time, further hundreds of billions of forints will be available in development funds. Within the Kisfaludy Programme, Mr. Orbán said, hotel facilities in the provinces will be given a boost and the foundations will also be laid for family-friendly Hungarian tourism. 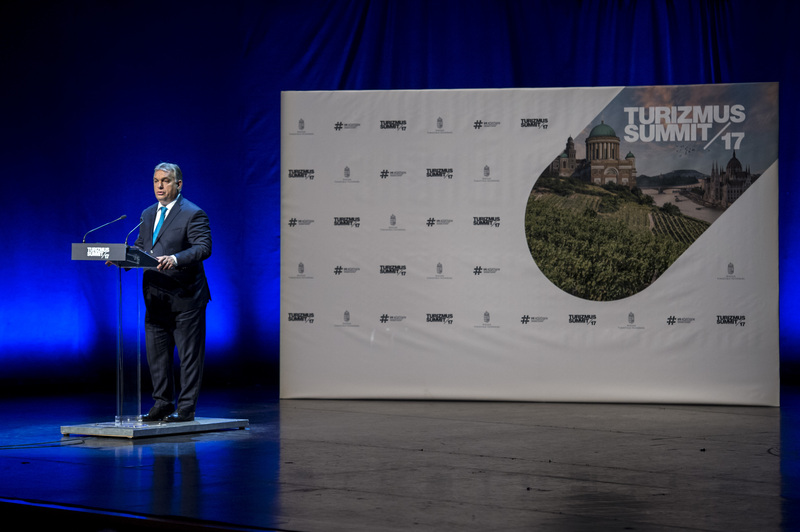 The Prime Minister noted that initially five priority regions have been identified for development, but the medium-term plan is to involve every corner of Hungary in tourism. Among the results achieved, Mr. Orbán said that last year the number of guest nights was up by 50 per cent compared with 2010, while revenues had increased by 115.5 per cent. He pointed out that tourism’s most important characteristic is that it provides jobs for more than 360,000 people and accounts for 10 per cent of the GDP. He highlighted the fact that the guarantor of these achievements is security, which will be a key issue in the future. He pointed out that Hungary and the entire Visegrád region form one of Europe’s safest areas. Tourism is undergoing revolutionary changes he indicated: travel is no longer a privilege of the rich, but a leisure pursuit of the masses; most tourists are coming to Europe from China, Southeast Asia and India, and in the next few years we can expect millions of tourists from the eastern half of the world. He pointed out that mass tourism also creates conflicts which we must prepare for, while there is also the threat of international terrorism. The Prime Minister highlighted that after the affairs of the country have been put in order, the time has come for a phase of carefully considered building work, which requires a new strategy. The strategy extending up to 2030 is capable of attaining the goals of higher growth and to risk avoidance. According to the goals outlined in the strategy, the contribution of tourism to the GDP will increase from its present 10 per cent to 16 per cent by 2030, while the number of those working in tourism is set to increase from 364,000 to 450,000. These goals serve as a yardstick for all developments: only those which are in harmony with the strategy will be granted funding. Mr. Orbán said that development funding of HUF 828 billion has been assigned to the strategy. Mr. Orbán outlined the strategy’s three main areas: sports tourism, cultural tourism and health tourism. He noted that Hungary is an attractive destination on account of sport, culture and its healthy environment, and that in the future the balance will tip towards domestic tourism, as wages are increasing, inflation is stable and people’s disposable income is increasing. He said that the V4 countries have adopted a common strategy to conduct a joint region-specific campaign in the United States, Russia, former Soviet states, South Korea, Latin America, India, China and Southeast Asia. The Prime Minister stated that the new strategy means that there is a good chance of Hungary occupying its rightful place on the map of world tourism.